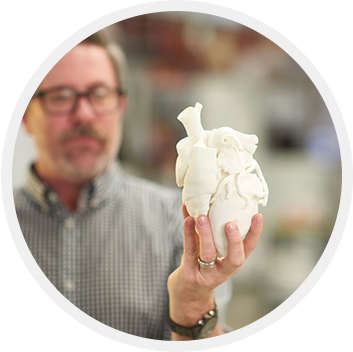 From functional prototypes and true-to-life anatomical models to surgical grade components, Objective 3D Direct Manufacturing has the advanced manufacturing know-how to help doctors, research institutions and medical manufacturers bring breakthrough solutions to the market. 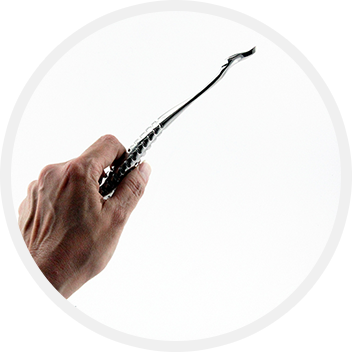 We offer a wide range of high-strength and bio-compatible materials, from rigid to flexible and opaque to transparent, to empower you to maximize efficiency and customize like never before. 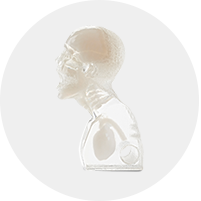 Create true-to-life anatomical models with multi-color PolyJet printing and Urethane Casting or move to clinical trials fast with 3D printing bio-compatible production parts through DMLS, FDM, SLS and PolyJet. 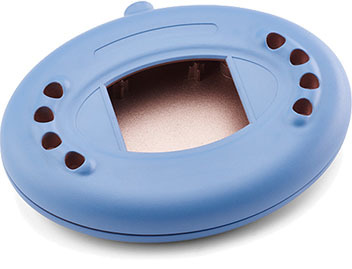 We build custom handheld parts that are rugged and pass IEC 60601-1 sec. 15.3.3 drop tests. Available in a wide variety of high performance materials, including biocompatible thermoplastics and metals. We utilize a wide range of advanced manufacturing technologies, including PolyJet, SL, LS, and our own proprietary Urethane Casting process to create consistent and accurate surgical models for medical and dental education and true-to-life pre-surgery models directly from CT scans. 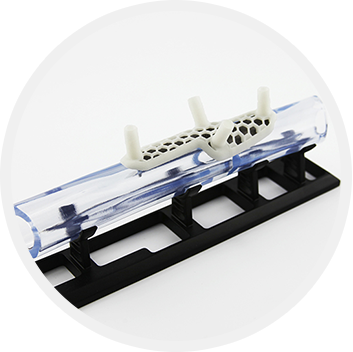 Medical carts, enclosures, and other specialized instrumentation can be built to your exact specifications quickly and affordably with Urethane Casting and CNC machining. Custom saw and drill guides built with thermoplastics and metals that meet ISO 10993-1 and USP Class VI certifications help ensure precise locating tools and instruments. 3D printing with metal is often pointed at as the true future of production for 3D printing. DanaMed found this to be true. Their 3D printed surgical tool is a breakthrough for 3D printing production of metal parts. 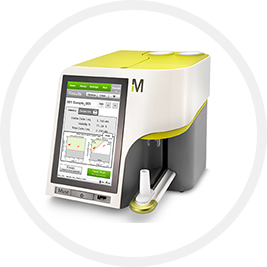 Do you offer any USP Class VI Compatible Materials? Yes. ABS-M30i, PC-ISO, and ULTEM 1010 for FDM; Various formulations of Nylon 12 PA for Laser Sintering; Titanium Ti64 and Cobalt Chrome CoCrMo for DMLS; and AFP3100 for Urethane Casting. Objective 3D Manufacturing accepts virtually any commonly used 3D file format, but to use our automated quote tool, you will need one of the following file formats: STL, STEP, IGES and Parasolid. Though material, part size, and application are critical factors in determining which technology is best for a given project, PolyJet is typically known to provide the highest level of detail. One important requirement of food or medical products is that they safely interact with the human body. Whether it is an everyday item like a kitchen utensil or water bottle, or something more advanced like a surgical tool, biocompatibility is essential. 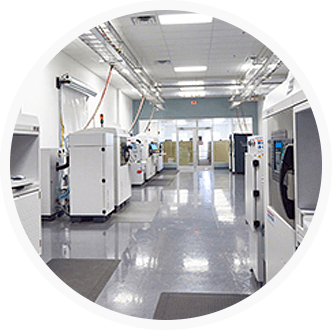 Additive manufacturing processes like Fused Deposition Modeling (FDM) have the materials to meet these requirements.